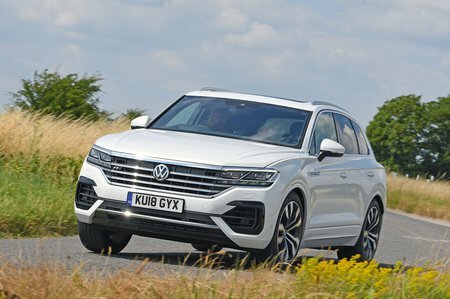 Volkswagen Touareg 3.0 V6 TDI 4Motion 231 R Line Tech 5dr Tip Auto 2019 Review | What Car? What Car? will save you at least £4,167, but our approved dealers could save you even more. This top trim adds electrically adjustable front seats, keyless entry, the 15.0in touchscreen, the 12.0in digital instrument cluster and high-beam assistance. It’s expensive and we’re not fans of the larger touchscreen.